GREETINGS & SALUTATIONS TRUTH SEEKERS! Welcome to the eleventh online edition of “New Babylon Rising: Anunnaki, Alien Gods & Spiritual Traditions” presented by the Mardukite Truth Seeker Press as our continued NexGen futurist effort toward raising general public awareness of ancient literary records — most notably those cuneiform — including preservation of the Anunnaki literary legacy that shaped human evolution, inspiring social systems and spiritual traditions on a global scale across space and time! Features this eZine/issue emphasize the latest work of the Mardukite Research Organization (Mardukite Chamberlains) in regards to cuneiform tablets of Mesopotamia demonstrating ‘Sumerian Proverbs’ and ‘Babylonian Wisdom’ that remains with us today thousands of years later! 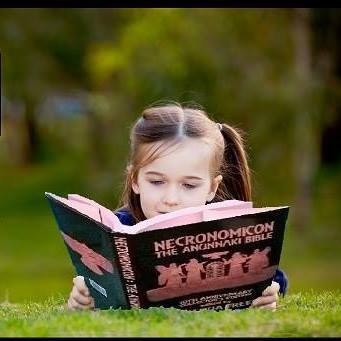 Furthermore, a spotlight is being placed on the most recent release of the new anniversary edition anthologies, the Year-3 Liber E+M+C materials previously available as “Mesopotamian Magic“ or “Necronomicon Workbook“ are now available as the NECRONOMICON GRIMOIRE! Thousands of years of political discord, dragon-fights between dynastic and royal bloodlines, new waves of Judeo-Christianity and Islam overshadow the previously observed traditions of the Anunnaki… A cradle of civilization, birthplace of systems and arts of humanity… Religion. Language. Politics. Mesopotamia – Land Between the Rivers – as it was once known from its Greek name; Iraq today, but what of tomorrow..? 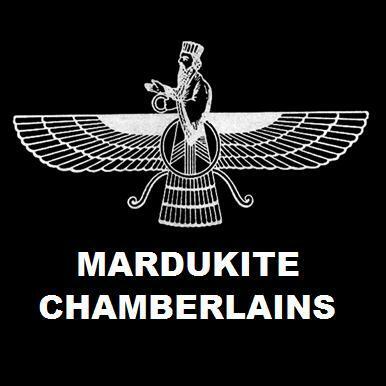 A new economical edition of the Mardukite Year-3 Anthology — A Workbook in Modern Magick Using the Sumerian Anunnaki of Mesopotamian Religion and Babylonian Magical Tradition — previously available as “Necronomicon Workbook” and “Mesopotamian Magic” in honor of the Mardukite 6th Anniversary! A master compilation of mystical exploration into the heart of the ancient Mesopotamian Mysteries, this complete practical occult workbook based on the Mardukite “Necronomicon Anunnaki Bible“ illuminates the revolutionary teachings and source materials of the Modern Sumerian-Babylonian-Anunnaki Tradition brought to life by the Mardukite Chamberlains (Ordo Nabu Maerdechai), edited by Joshua Free, the presiding Nabu of the organization since its public inception on the 2008 Summer Solstice. “. . .sealed seven representative stations in Babylon. The Seven are each embodiments of the seven gates forged in Babylon.” The seven tablets of creation are the basis for material reality as programmed for receipt by the most antiquated human “societal” civilization on the planet: in Mesopotamia. Surpassing even this, the seven-fold structure observed in ancient Babylon went on to serve as the archetypal basis for correspondences relevant to cultural-systems emerging since! Thousands of years of political discord, dragon-fights between dynastic and royal bloodlines, new waves of Judeo-Christianity and Islam overshadow the previously observed traditions of the Anunnaki… A cradle of civilization, birthplace of systems and arts of humanity… Religion. Language. Politics. Mesopotamia – Land Between the Rivers – as it was once known from its Greek name; Iraq today, but what of tomorrow? After years of the Piscean Age ruled by non-Babylonian Arabs and the near extinction of the Yezidi tribes, who will lay claims to the boundaries of Mesopotamia in a post-modern — post-Iraq — future ever changed by wars for oil, scarred by military from several nations, the rule of Saddam Hussein, and now the Islamic State? Where will the new political boundaries lie when the Middle East disbands and there becomes a New Mesopotamia between the Tigris and Euphrates? And who will be seated in New Babylon when the coming age arrives? …Mesopotamian territory often included areas outside the pathway of the two rivers, which even themselves changed positions over time with the alteration and then absence of human intervention via the aqueduct canal systems (and other natural occurrences). By today’s standards the “Middle East” or “Ancient Near East” includes the geographical locations occupied as Iran, Iraq, Saudi Arabia, Yemen, Oman, Lebanon, Israel, Syria and the United Arab Emirates. Mesopotamian kingdoms also included (at some time or another) occupations in modern-day Turkey, Armenia, Afghanistan, Pakistan, Egypt and Sudan. The term “Middle East” is a modern Euro-centric semantic replacing the academic usage of the ‘Near East’ (as opposed to the ‘Far East’ or “oriental”). With few exceptions, the Middle East and its ancient Anunnaki legacy is the origin of most major world religions in history including Zoroastrianism (Mazdaism), Mithraism, Canaanite, Yezidism (Yazdanism), the Baha’i Faith, Manichaeism (Mandaeism), Islam (Muslim), Judaism and Christianity! The overt evolution of the Sumerians into a Babylonian Empire is not altogether surprising – on the surface. However, the seeker should keep in perspective just how quickly all of this developed from seemingly nothing. It is true that societal living was originally organized around state religion, but prior to this it was culminated not by the social relationships shared between people, but by their living relationship with the earth. Where first we have loosely organized nomadic hunter-gatherers that are forced to wander about or dwell in caves, essentially rolling the dice of chance for their survival, very little time passes before the sweeping transition in Mesopotamia toward planned agricultural farming and pasturing shepherds. Credited with many ‘firsts’ in the development of human history, it is the incorporation and evolution of cuneiform ‘writing’ that the Sumerians can be esteemed for – something which was undoubtedly entirely necessary for the civic growth of the human world. In fact, it is only with ‘writing‘ that we have any concept at all of the history of humanity; everything prior to this inception, is rightfully considered ‘prehistoric’, at least by ‘modern’ standards. Hail and welcome to the ninth eZine online issue of “New Babylon Rising“, a futurist NexGen effort developed by Mardukite Truth Seeker Press for the public in dedication to preserving the ancient literary records of the Anunnaki legacy — primarily those cuneiform — and human societal systematization and tradition this legacy inspired across the globe. Contains the complete Year-2 Mardukite Core including the text from the MESOPOTAMIAN RELIGION and NECRONOMICON REVELATIONS in one amazing volume, revised and updated! :: SPECIAL NEWS – Mardukite Enemies & Necronomicon Hoaxes – Black List for Curses – Congratulations Someone Famous Hates You!